Every wedding planner is different in how they work and how the process goes. A Wedding planner in Florida might have a different process from a wedding planner in New York. So we do understand if you are not sure of what to expect when working with a wedding planner. Working with a wedding planner is to give you peace of mind. Peace of mind knowing that your investments are in good hand. What about peace of mind knowing that you will not forget a thing. And also, peace of mind knowing that on the day you do not have to worry about anything. We hear many couple saying things such as “I don’t need a planner, because I am organized” or “ I want to plan my own wedding”. 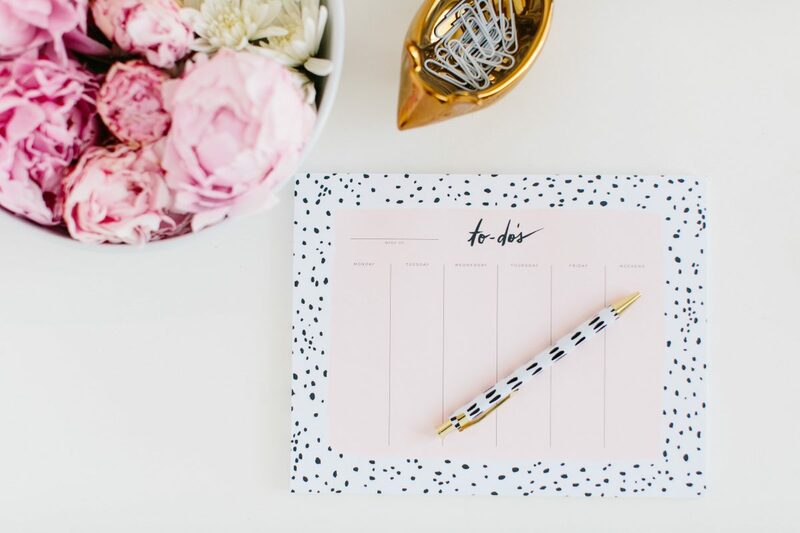 One thing you have to know is that your planner is your ally, and is here to work with you. The plan is not to take over your wedding, but to work alongside you to make things happen. You can be as involved as you would like to be, but all final decisions are made by you. If you are the organized bride, that’s great, but like many first time brides, you have not done this before, so there are things that you do not know in terms of logistics, or you may just simply overlook. So here is a bit of an insight of what working with a wedding planner looks like. There are many phases of the planning process, but it all starts with the consultation. This is the time we go on a phone date, and see if we are even a great match. We discuss your vision, your guest experience, and everything in between. We take that time to get to know you and know of all the amazing details you are planning. Discussing the budget is a must to start the wedding process. That will help in making sure we stay on track throughout the process. Before searching for a venue, contracting vendors, make sure that everyone is on the same page when it comes to the total budget. That can save you tons of headaches, and wasted time. Your planner will know the standard of each category, and which can be a bit flexible. For example, imagine if you fall in love with a venue, and you have a total budget of $100,000. Then you spent $60,000 in food and beverage alone at your venue. Later to find out, that you need chairs, tables, etc. By the time you add your 24% service fee, plus tax, you are spending closer to $80k. Now, you only have $20k to spend on a photographer, videographer, DJ, Florals, rentals, etc. That’s why breaking down the budget with your planner at the very beginning is a great idea, as it helps align your priorities and what to spend. After the budget is discussed and numbers are allocated, the first thing to do is to book your venue. Researching your venue takes time, and can be a really complicated process. You have to be aware of availability, capacity, restrictions, rental pricing, etc. This is where your wedding planner shine, as she has experience and know what to expect. She will know of the extra fees that may be associated with renting your chosen venue. This is the phase, where you get to select your creative team. Your wedding planner will help match your personality with the right vendors by recommending the ones that are possibly a great fit. From making sure they fit around your allocated budget, get along with you great, and also with the vendor team. The best weddings are when the entire vendor team work in harmony, as they are able to create magic. Your Wedding planner checks your availability and set appointments to meet or chat with the ones you love. If you are having a destination wedding, making appointments might look a bit different, as they might be bunch together to maximize the planning process. Getting to know your schedule, arranging flights is all part of the process. Helping you make decisions on the best service that works for you, help in navigating and negotiates contract terms. The longest phase in the planning process, and one I consider the most fun is the design phase. It’s time to think of the pretty things, the details, the experience. Throughout the wedding process, your wedding planner will get to know your likes and dislikes. This will allow for a magical design process. A mood board will be created with all the elements involves, from color palette, type of chairs, linen option, decor options, etc. This is where all of the ideas you have been dreaming about is coming to life. With the help of your planner, no details will go unnoticed. In the final stages your wedding planner will triple check logistics, confirm with vendors, check the weather, create the production timeline, revise plan B and get you ready for the big day. This is the time to not hesitate and go to the spa, and get a few glasses of wine, and know that you are in good hands. Take time to reflect on the sacred vows that you will be taking. Truly enjoy spending time with your fiance and family who are traveling to celebrate your love. In conclusion, there are so many things that your wedding planner helps with, and there’s not a blog post that can include it all. To keep the process smooth and keep everyone on the same page, having great open communication is the way to go. If you have a need, concern, questions, know that you have someone to help you in the process. You do not need twenty-five thousand spreadsheets or need to spend all your weekends googling vendors. Take time to truly trust that your planner has been doing this for a while and has your best interest at heart.